There are types of architecture for which associated narratives rather than their designs are critical to the determination of their value. Now in its final stages of construction, the work House of 33 Years [fig.1] by Assistant, the architecture studio formed by ARIYAMA Hiroi and MATSUBARA Megumi, is also a piece of architecture of that kind, accompanied by countless fascinating stories. Those stories are not necessarily created intentionally by the architect's hand, but rather, stem from a variety of other chance elements, including the relation between the client and the architect, the conditions of the given site, and the timing of its construction, among other things. House of 33 Years seems to be full of potential to draw interesting coincidences. Located on land next to Todaiji Temple, Nara, this residential house is now near completion, after 5 years of many transitions and pauses in production. Having been moved to Nara after a period at the Creator in Residence at Sendai School of Design (SSD) and a two-month long exhibition at Aomori Contemporary Art Centre (ACAC) in summer 2012, its completion is planned for spring 2013. _is explanation must already be enough to make you sense how unusual a piece of architecture it is. In this essay, as an insider involved in no small part of the process, I would like to introduce hidden stories based on what I have personally seen. Which is moving; people or architecture. This phrase was the title of Assistant's workshop held at ACAC, and which I think is appropriate to describe an aspect of the mysterious charm of House of 33 Years. Usually, this phrase could not be a serious question, because architecture normally does not move, and people, in contrast, almost never stop moving as long as they are living. House of 33 Years succeeded in obtaining such a unique style, due to the fact that Assistant works in both the field of architecture and that of art, blurring the boundary of the two worlds. 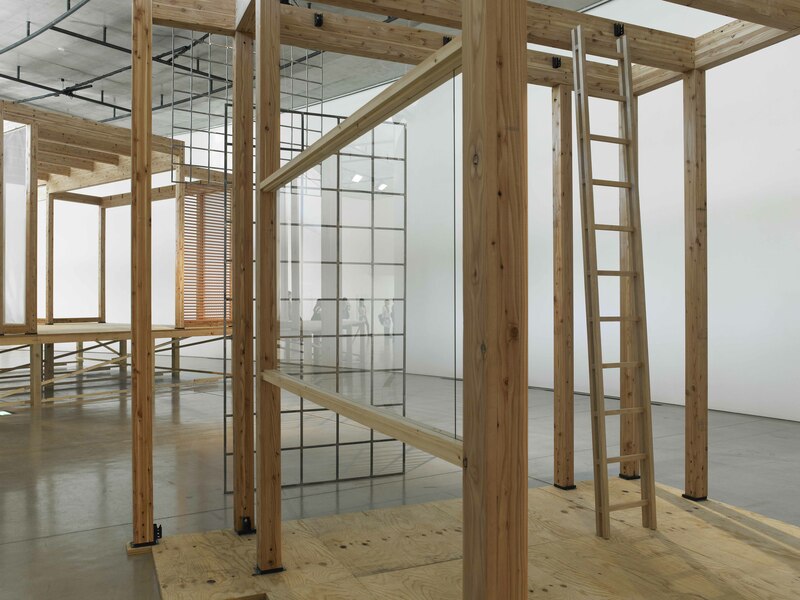 They had to move their piece of architecture to follow the system of the art world, and along with it, they also moved themselves. 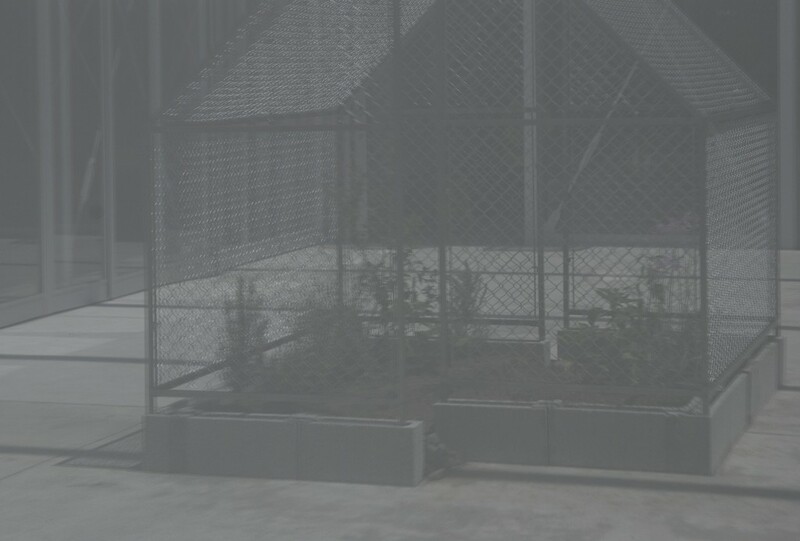 That is, having accepted offers by two public institutions, SSD and ACAC, to participate in their artist-in-residence programs, Assistant stayed in the two cities that had had no particular relation to their lives, working on site from June to September 2012. Of course, for artists, participating in multiple artist-in-residence programs at different residencies or art centers over some months is not so atypical. Thus, if we take Assistant as an artist duo, their course was not so surprising, and they could have created and exhibited a different installation for each occasion. For example, they could have done a project to introduce House of 33 Years at SSD as it is an architecture-specialized institution, and created an unrelated artwork dealing with spatiality at ACAC. But they did not choose this path. Instead, they decided to build an unknown experience by linking the two institutions through a single residential housing project. It is quite normal for artists to bring the work they have made during a residency program to other exhibitions held by different institutions. 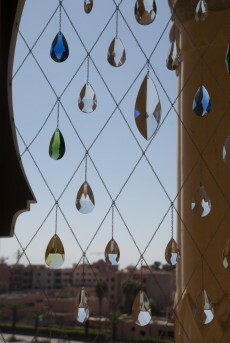 This has merit not only for the artist but also for the residency itself, which invited the artist in the first place. Being aware also of this context, Assistant had decided to make a different part of the House of 33 Years as a work to be produced on site at each institution. The work made in Sendai was titled Ghost House [fig.2] and the other in Aomori Obscure Architecture (House of 33 Years, Study) [fig.3]. It may not sound particularly special to you, but in fact, it is quite extraordinary to work on the same individual house over two totally different projects, even though each part could be made individually. A piece of architecture basically never moves from where it stands once it is built. Nevertheless, this was not incontrovertible for Assistant — they broke House of 33 Years, which had been designed as a single house, into parts suitable for making in the two programs, so that the architecture would "move," so to speak. In other words, they all of a sudden made a radical change to the whole plan. The part that would constitute two rooms of the house was built at ACAC, together with local carpenters, using materials available in Aomori. 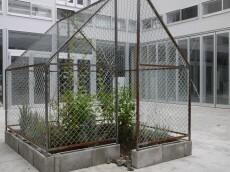 As for a small steel coop that would be attached to the second floor as something almost like a functionless object, Assistant first commissioned a private housing contractor in Aomori to make the frame structure, and then took it to Sendai, where the details were added by Assistant themselves together with SSD students. Of course, in order to finally constitute the house in Nara, each work was finished to meet the original blueprint, with the same dimensions and construction method. 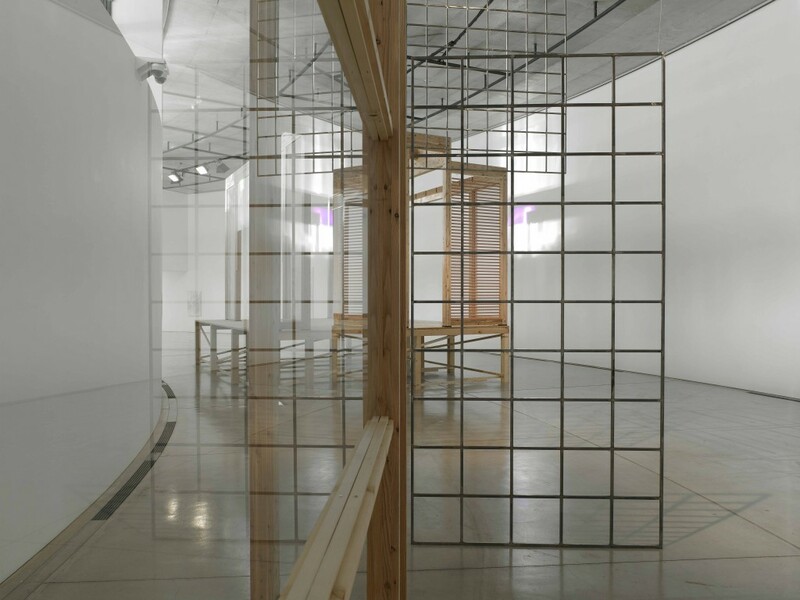 At the same time, however, each work was realized as an individual installation piece on which additional features were elaborated, responding to demands from the institution, characteristics of the space, and the chosen method of exhibiting. 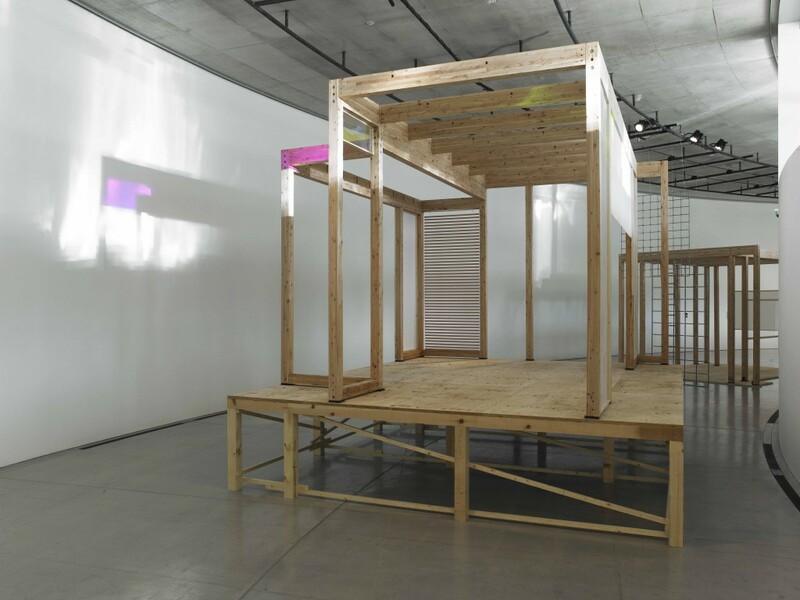 The structures were first disassembled and loaded on a 4-ton truck in Aomori, when the exhibition at ACAC was over in the middle of September, and the steel coop was added in Sendai, then together were carried to the destination, Nara, where they will be recomposed to form the house. A conventional architect would not change his plan so acrobatically, nor find value in this. Moreover, in the first place, it would be impossible that the client would agree on having what would become his or her own house shown in another place where general public would see it. This leads us to another story that made the whole thing possible. In fact, the clients of House of 33 Years are Ariyama and his parents. For Ariyama, it will be half his own home. For Matsubara, one of the clients is her business partner. It is interesting, too, that the meaning of the house is totally different for Ariyama and Matsubara. So, the two parts of the house, each of which were given a different function, ended up being built in the two places, due to chance factors such as that the house was designed for Ariyama's family, and that the timing of its groundbreaking coincided with their participation in the two programs in Aomori and Sendai. 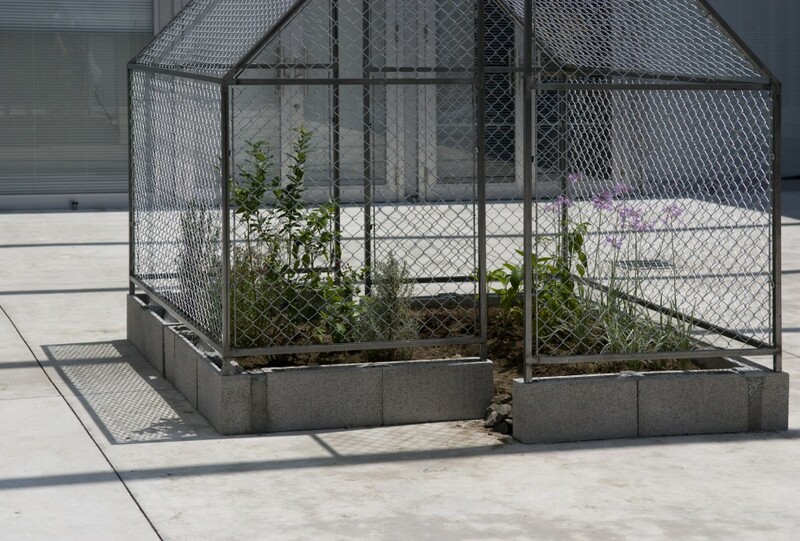 Again, another factor is that Assistant has also worked in the field of art, unlike normal architects, so that they knew the peculiar style and system of the field through experience, and their work style is not inextricably tied to construction sites preventing them from doing a long-term residency. 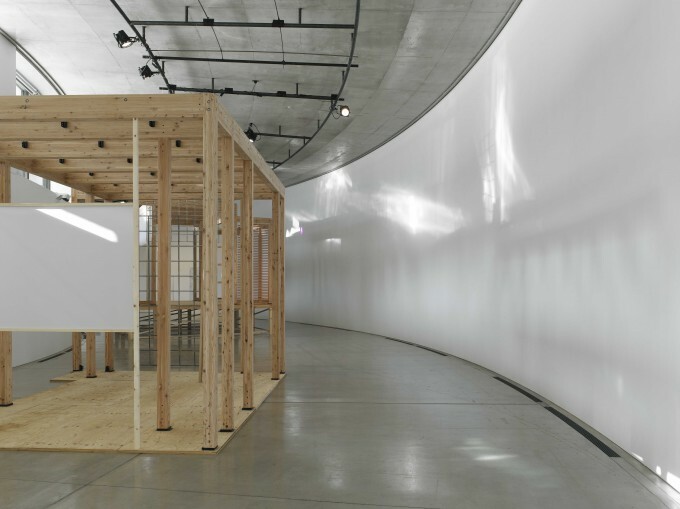 Incidentally, the work shown in Sendai was an homage to Ghost House, one of the pavilions scattered on the large premises of the famous house of Philip Johnson. Johnson transformed the entire premises into something like an art pieces including forged ones. Johnson's Ghost House is quite a simple and tiny piece of architecture made of steel, whose possible meanings are difficult to grasp. 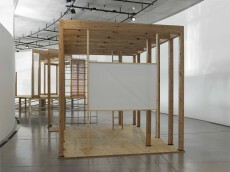 Well, more precisely, it is an installation rather than a piece of architecture. It is very Assistant to pick up this piece of architecture to pay homage to, whose meaning of existence is so vague and whose name seems to hint of different stories far from reality, trying to give a new value back to it. Another interesting point of the work style of Assistant is the relationship between Ariyama and Matsubara. 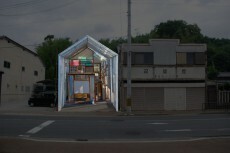 In the recent years, Ariyama's interest in architecture has grown, while Matsubara has moved closer to art. For Obscure Architecture (House of 33 Years, Study) , it is Ariyama who drew the blueprint, determined the structure, the method, and the materials, and has been in charge of construction including management of the workers on site. On the other hand, after the structures were built, it was Matsubara's role to design how to bring light in and create interaction between the structures and the space. 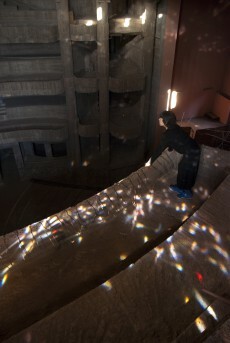 In other words, Ariyama takes architecture as material, and Matsubara is responsible for associated physical phenomena. In recent years, focusing attention on "sunlight" and developing a keen interest in the uncertain shifting nature of light and shadow, Matsubara has created a number of her own artworks dealing with light as the subject matter [fig.4]. Her interest in the phenomenon of light is, most probably, not unrelated to the reference to Johnson's Ghost House. ANDO Tadao, who designed ACAC, is one of the world's foremost architects who tactfully use "light." With ever-changing sunbeams streaming in every day, the gallery space of ACAC is always filled with beautiful light. 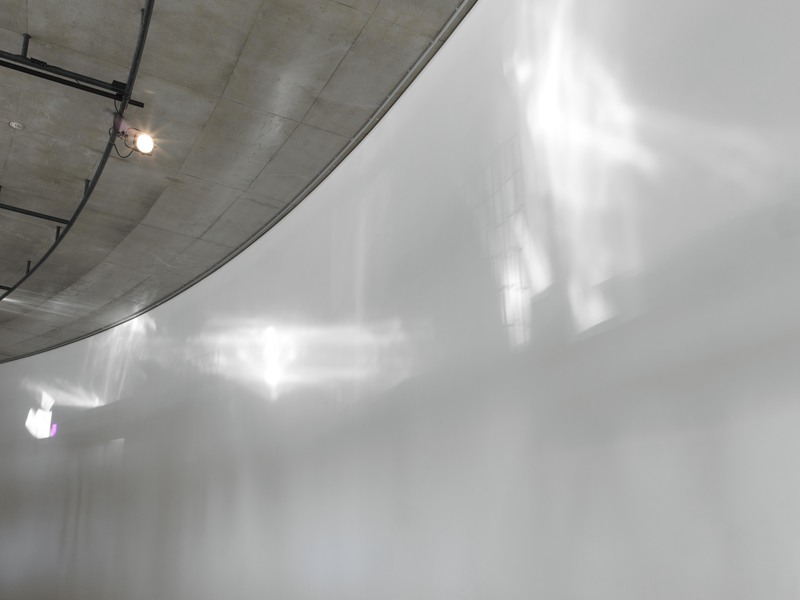 Matsubara attached polarizing film sheets onto horizontal windows at the upper part of the gallery wall, and installed reflectors right outside the windows. Built into the exhibited architectural structures are glass plates, film sheets, louvers, and screens, admitting the lights into the standing structures. Due to these features, as the sunlight changed, the whole space continuously underwent shifts and transformations. Although architecture is solid and has substance, behind it there is always light and shadow swaying delicately. Through Matsubara’s hand, this ordinary phenomenon extended until it filled the whole space, creating a new spatial experience. Here, we can see her strong attention to narrative evoked by light and shadow that shift according to the architecture's structure. This work always had a fresh look. In the morning, dim shadows were cast on the gallery wall, while in the afternoon with strong sunlight, a light emerged and kept flickering as if reflected from the surface of a body of water. Sometimes there was almost no perceptible change for several hours, and other times everything dramatically changed in a span of seconds. Physically, this architectural work remained present in the same position, whereas the natural phenomena created by it kept flowing without stopping. This contrast somewhat resembles the peculiar relationship between Ariyama and Matsubara. As of January 2013, the small house has not been completed in Nara, yet it already includes such a variety of multi-directional stories. I feel so elevated just by imagining what sort of new stories this architecture will be given, and what sort of history it will create in the future. A piece of architecture given values by stories — it is so artistic and fascinating. 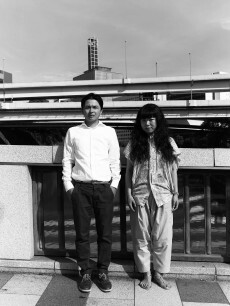 SSD is a new style education program connected to the local region, launched by the Architecture and Building Science Major at Tohoku University. The program will be held until March 2015. Philip JOHNSON is an American architect representing modernism (July 8, 1906 – January 25, 2005). He also worked as a curator at MoMA's Department of Architecture and Design, introducing European modernist architecture to the US.